Healthcare’s inexorable march toward value-based care has brought with it a focus on what’s best for the patient. Instead of routinely pushing people from one billable appointment to another, providers of all types are, to varying degrees, beginning to understand that more care doesn’t necessarily equal better care. This shift in policy and philosophy is certainly welcome, and long overdue, but healthcare organizations (HCOs) must be sure to push their good intentions in the right direction. Take, for instance, the hospital waiting room. The longtime dumping ground of year-old magazines, well-worn chairs, and grainy television sets has been transformed into a bright, comfortable, and almost welcoming place. Swanky waiting rooms have spread throughout the hospital, too; patients can sit in comfort as they await exams or consultations in various internal departments. You’d have a hard time finding anyone who prefers the older, dingier waiting rooms. But the esoteric improvements mask a more fundamental issue: HCOs are focusing too much attention on patient experience and satisfaction, trying to compete with hotels, and not enough on honest-to-goodness engagement. Instead of spending so much time, money, and resources on making waiting comfortable, hospitals should address why patients are waiting. The rationale for this misplaced focus isn’t hard to find. In a world of quality metrics, HCAHPS scores, and innumerable “top hospital” rankings, the need and desire to improve experience and satisfaction is certainly understandable. However, a good waiting experience isn’t the same as a good care experience – or, for that matter, a good understanding of how to make the right decisions to improve health and well-being and spend less time waiting to receive care in the first place. 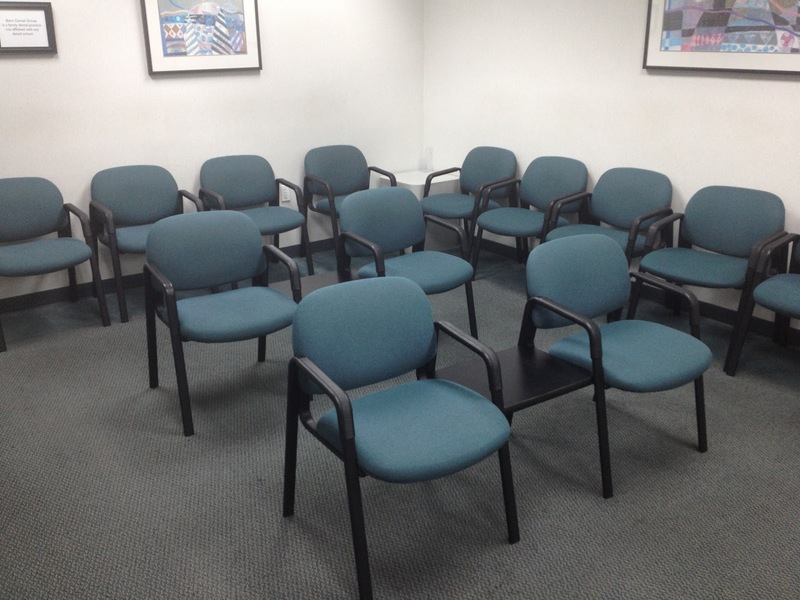 Nice waiting rooms are, well, nice, but they remain a holdover of the fee-for-service world. Think about your auto mechanic. The free Wi-Fi, fresh coffee, and clean bathrooms aren’t there to entice you to leave; they entice you to come back (and spend money) the next time your engine starts making funny noises. If anything, a posh waiting room is a form of revenue cycle management (RCM), since it’s all about bringing repeat customers through the door. Waiting rooms don’t improve engagement. That’s why Geisinger Health System CEO Dr. David Feinberg wants to “eliminate the waiting room and everything it represents,” namely a way to build up inventory for doctors at the expense of the patient. The larger issue is that value-based, coordinated care will only succeed when patients are truly engaged in their care. Admittedly, this is a struggle. As it is, HCOs have enough trouble improving the patient experience, according to a recent Kaufman Hall survey. They know they need to do something, but they say they lack the “strategic insight” to figure out what it is, not to mention the capability to implement such a strategy. This survey did not ask if they had had the capability to upgrade their waiting rooms, but I’m willing to bet they did. Engagement itself is another giant step forward. It’s hard to fund (big-money donors prefer to see their names on a building instead of, say, an app or program) and even harder to implement (the n=1 strategy of precision medicine means that interventions must be specifically tailored to vastly different patient population segments). Plus, engagement technology must link to a larger value-based technology strategy, which itself requires a shift away from the point solutions so prevalent in healthcare and toward solutions that meet specific clinical or operational requirements within healthcare’s new value chain. Most HCOs lack “strategic insight” into what this entails, too. Whatever the future holds for value-based care, insurance reform, electronic health records, the private practice, the standalone hospital, or the industry as we know it today, the chief goal of practicing healthcare will remain constant: Keeping patients as healthy as possible for as long as possible so they get as much out of their lives as possible. To that end, HCOs would be wise to not keep patients waiting.